As soon as we take the path of knowing the self: where I come from, what’s my reality, what’s my purpose in life, so that I can find that reality. And they begin to teach us that every reality, its core, is in La ilaha illallah, Muhammadun rasoolullah (sallallahu alaihi wasallam). Every reality is born from that reality, that, that is where the two rivers meet, that is where Nabi Musa (alaihis salaam) was seeking his ma’rifa (spiritual realities), that “I will not stop, in all my life until I reach that point at where the two rivers meet”. Muhammadun rasoolullah (sallallahu alaihi wasallam) is a river and the reality of La ilaha illallah is a huge river of the Divinely presence, where it comes in La, is the reality of the opening of every reality. 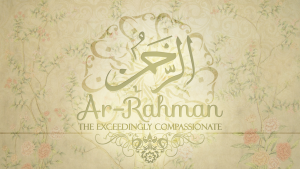 The story of creation begins from Bismillahir rahmaanir raheem. But Prophet (sallallahu alaihi wasallam) describes that, “I was created from the light of Allah ‘Azza wa Jal and all creation created from my holy light.” For us to understand the reality of that light, that what is Allah ‘Azza wa Jal granting to this holy name of Muhammad (sallallahu alaihi wasallam)? That, in understanding the huroof and understanding these words, we understand what Allah ‘Azza wa Jal is dressing us with, that everything is based on hamd and praise. Everything is based on حمد Hamd. Everything is based on praise. We only now know scientifically that there must be a sound. That sound produces energy, and that energy produces a light, and that light produces a form. 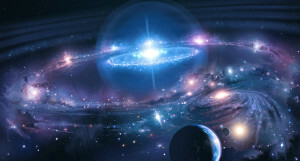 It means that the origin of everything in creation is the Sound. That is why all the holy books described that the word of God came first. It means the حمد Hamd and praise, “Yusabihu be Hamde” For verily everything exists within the حمد Hamd (praise). The seven heavens and the earth and whatever is in them praise Him. And there is not a thing except that it praises Him (everything praises Him), but you do not understand their [way of] praising. Indeed, He is ever Forbearing and Forgiving. 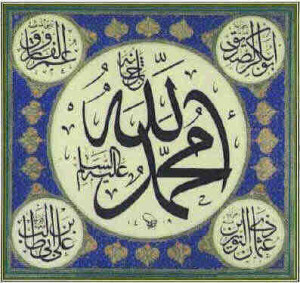 To understand the greatness of محمد Muhammad (saws), the م Meem, ح Ha, م Meem, د Dal. What Allah (aj) wants us to understand is that we have to be from the reality of La ilaha illAllah, Muhammadun Rasul Allah (saws). Awliya Allah (saints) come to our lives and teach that you are not in La ilaha illAllah. It means that we first clarify that there is no way that you are in the reality of La ilaha illAllah. 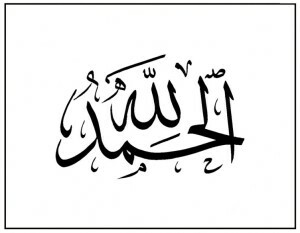 La ilaha illAllah means, no no, nothing but Allah. It would be a sharik, it would be a partner. It would be breathing and taking the space, sharing the form of that reality; which is impossible. They clarify that you are not in La ilaha illAllah. 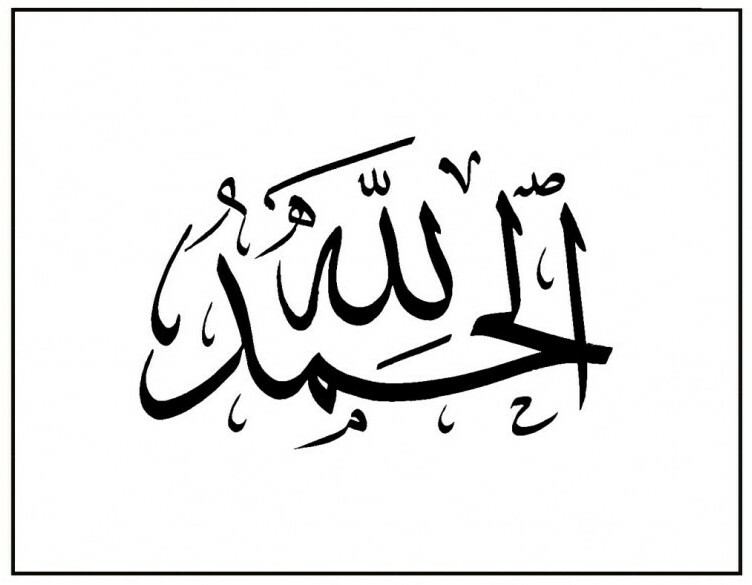 La ilaha illAllah, is a very clear phrase; nothing but Allah. Then they begin to explain that this meem of Sayyiduna Muhammad (sallallahu alaihi wasallam) is an all-encompassing circle of creation. It’s a bahrun muheet, that within that meem, all creation is inside that, like a sun. What do you get from the example of a sun, is that it’s a source like a star, it’s a source of power. It’s not Allah ‘Azza wa Jal, but it has an eternal flame. It’s not of the east and not of the west, and producing a light of its own, light upon light. That’s not sharik, Allah ‘Azza wa Jal saying, “I’m not the sun. That’s all My creation. I am the ‘Izza and the Power of that. That sun exists within this ocean of creation.” That’s why when we begin to study the creation of Nur Muhammadi (sallallahu alaihi wasallam), Allah ‘Azza wa Jal took from His Divinely light and brought the soul of Prophet (sallallahu alaihi wasallam). From the light of Prophet (sallallahu alaihi wasallam), everything is born: malaa’ika (angels) are from the light of Sayedina Muhammad سيدنا محمد , Nur Muhammadi (sallallahu alaihi wasallam), Kaabah from Nur Muhammadi (sallallahu alaihi wasallam), the Throne arsh ar-rahmaan is from Nur Muhammadi (sallallahu alaihi wasallam), otherwise where is it from, La ilaha illallah? Means every creation, every paradise is within this ocean. Every malaa’ika– because they have the meem, meem is, do you see the big meem here- malaa’ika because they are from this ocean. Bait ul-mahmoor, the house in the Divinely presence from this ocean, Kaabah, from this ocean, insaan, from this ocean, prophets, from this ocean, what other creation are we missing? Everything from this ocean! So when Allah ‘Azza wa Jal begin to teach, “This ocean is what you should be understanding and studying.” This is the ocean of hamd and praise. This is the ocean in which praises Allah ‘Azza wa Jal. The only praise Allah ‘Azza wa Jal wants, is the praise of Sayyiduna Muhammad (sallallahu alaihi wasallam). The only praise that Allah ‘Azza wa Jal cares for is the praising of Prophet (sallallahu alaihi wasallam) on Divinely presence. 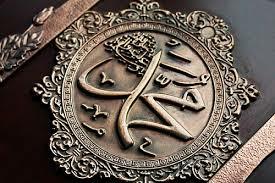 So he is liwal hamd, the flag of praise (one of the names of Prophet Muhammad), that Prophet (sallallahu alaihi wasallam) praises Allah ‘Azza wa Jal, Prophet’s zikr of La ilaha illallah, Allah ‘Azza wa Jal, that is the zikr that Allah ‘Azza wa Jal is interested in. Everything else is a much lesser reality. Allah (aj) begins to teach, this ocean is what you should be studying and understanding. This is the ocean of حمد Hamd (praise). This is the ocean in which praises Allah (aj). The only praise Allah (aj) wants is the praise of سيدنا محمد Sayyidina Muhammad (saws). The only praise that Allah (aj) cares for is the praising of prophet (saws) on divinely presence. He is wal Hamd, the flag of praise. That prophet (saws) praises Allah (aj). 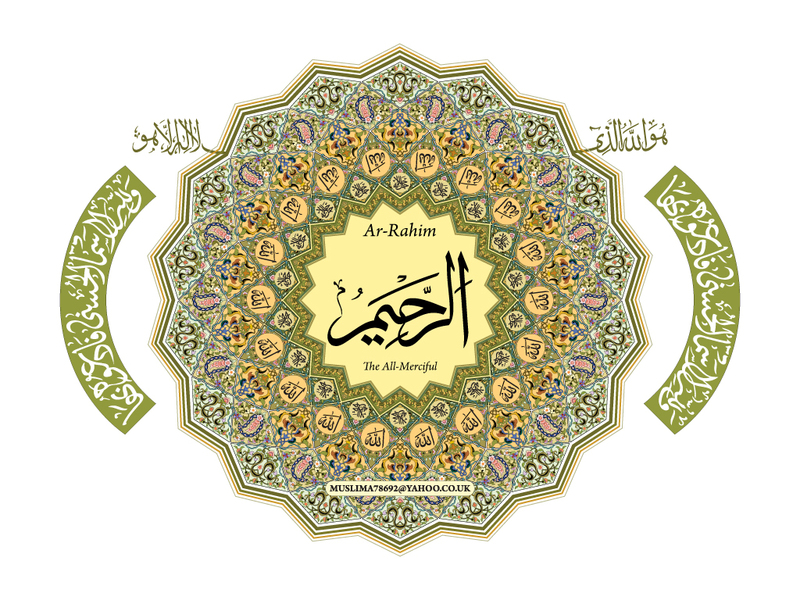 Prophet’s (saws) zikr of La ilaha IllAllah of Allah (aj) is the zikr that Allah (aj) is interested in. Everything else is of much lesser reality. د Dal of دليل Daleel/ دوام Dawam Then Allah (aj) begins to teach that because of that حمد Hamd, that is dressing the prophet (saws) with that this is د Dal of guidance, the دليل Daleel (guide) for all of the دوام Dawam (continuity) all of creation. م Meem –This (م Meem) is the Muhammadan reality. ح Ha – This (ح Ha) is the حيات Hayat (life) and the بحر الحيات ocean of Hayat. Everything is alive in that ocean. Allah (aj) dressed it from its حيات hayat (life). د Dal –This د Dal is the guide for all creation. دلايل خيرات Dalail Khairat, the best of guidance (The book of all praises on Prophet Muhammad (saws) that Muslims are required to read it on daily basis). When we understand – this is the ocean of power, this is the ocean of all realities. From that sound, energy is coming out; that’s how creation is coming. From that energy, light is coming. So when they study the atomic reality and the atoms and molecules, they understood, it’s a sound, what they call string theory, from its sound it produces an energy, from its energy it’s producing a light. That which Allah gives a light, it manifests; that which yet not understood by us, they call dark matter. Then from the light, we’re given a form, so means then in our atomic reality we’re just light. You see yourself with a form, it’s all an illusion but this is all the ocean of hamd. Because of that and because of Allah ‘Azza wa Jal’s love, it’s Muhammad; so the meem is the ocean of muheet that is all-encompassing. Inside the ocean, the nucleus where they want us to start to make our journey and our mi’raj, you’re making your mi’raj, you’re making your ma’rifa towards the centre. But you are never going to know La ilaha illallah, so in tafakkur and contemplation, don’t contemplate Allah. Don’t ask where Allah comes from, where Allah is, astaghfirullah, this take you out of belief. It’s not for creation to know who the Creator and where the Creator and when the Creator, this takes us out of belief. So contemplate on the best of creation. What’s the best of creation? Sayyiduna Muhammad (sallallahu alaihi wasallam). So awliya Allah begin to teach us that this meem is the key of all realities. The turban is the م meem (it has the shape of a م meem). The م meem is the turban. The secret between you and other nations is your م Meem. What Allah (aj) wanted? To wear your turban on your head. Wear the م meem of Sayyidina محمد Muhammad (saws).That you are محمديون Muhammadiyon. 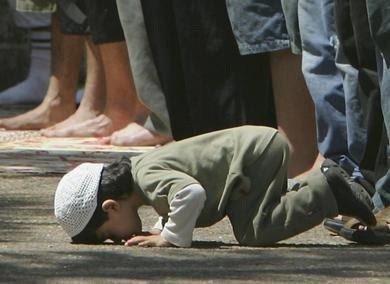 Your sajda (prostration) is in the form of the م Meem. You make a sajda, prostration, when the head goes down, it is lower than your legs and belly and it is forming a م Meem. The secret between you and other nations is your meem. So what Allah ‘Azza wa Jal wanted? Wear your turban upon your head, wear the meem of Sayyiduna Muhammad (sallallahu alahi wasallam) that you are Muhammadiyun. You make a sajdah, prostration because this your head, right, this your legs, your head is in here (pointing to the sajda), this is your belly, when it goes down, it’s forming the meem. So the secret of your reality is in this meem. The secret of your reality is in this م Meem. 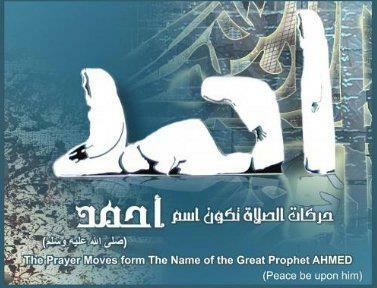 Your salat (prayer) is in the name of Sayyidina محمد Muhammad (saws). In his name in heaven احمد Ahmad. For more details look up the Secrets of Salat article. د D – Your Atahyat is the د Dal. You are sitting on your knees. So when the Holy Qur’an reveals, “Innallahi wa malaa’ikatahu yusalloona ‘alan nabi (sallallahu alaihi wasallam)” (Al-Ahzab 33:56). Lo! Allah and His angels shower blessings on the Prophet. O ye who believe! 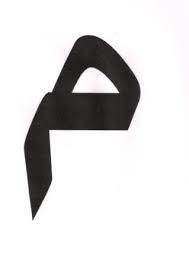 It means Allah (‘Azza wa Jal) gave this, an alif. Alif beside the Lillah becomes Allah.) Allah (aj) is giving from His alif to Sayyidina احمد Ahmad (the Alif beside حمد Hamd becomes احمد Ahmad). It is the nucleus of this circle of creation. The ocean is محمد Muhammad and Sayyidina Muhammad makes zikr of Allah. Mine and your zikr of Allah (‘Azza wa Jal) is imitated on the outside. 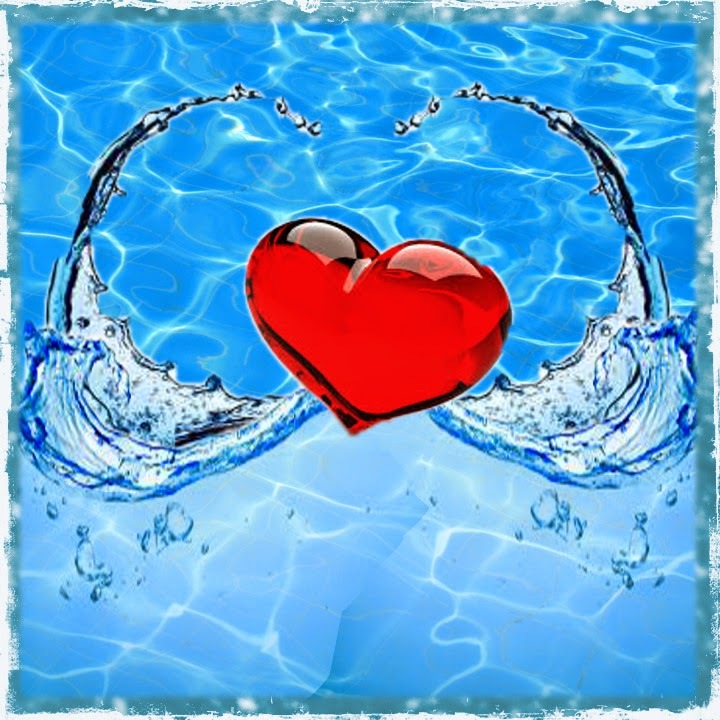 It is not واحد wahed (one), it is not in the ocean of witnessing and real tawhid (oneness). We have many different beliefs and many different levels of submission. We are imitating that zikr (remembrance). But the real حمد Hamd of the Abd Allah (servant of Allah) is the حمد Hamd of Sayyidina محمد Muhammad (saws). That م Meem and حمد Hamd is محمد Muhammad. When Sayyidina Muhammad (saws) is making the zikr of Allah, Allah, Allah; he says “Ya Rabbi, nobody can praise you”, this power cannot be completed by creation. That give me from your ’izzat, give me from your might and majesty. And to Allah belongs [all] Might, and to His messenger, and to the believers, but the hypocrites do not know. ’izzatullahi wa Rasolihi wal Mu’mineen. ’izzatullah, means Allah (aj) gives the Alif. That ’izzat is the source of divinely power. The ‘Izzah is the source of Divinely power. From that alif springs the fountain of power, that’s why in paradises and in heavens, is Sayyiduna Ahmad (alaihis salaam) is the king, the king of praise is given the alif of Allah ‘Azza wa Jal. All might and majesty, all Divinely power, every Divinely light emanating from that reality, because Allah ‘Azza wa Jal gives this alif. When we understand that alif, we understand this reality, that Allah ‘Azza wa Jal dressing this reality, Allah ‘Azza wa Jal blessing this reality. Then when they want us to understand the name of محمد Muhammad; it is that م Meem ح Ha (first two letters) = مالك الحيات Malik ul Hayat. م Meem ح Ha is closest to the paradise reality. The م Meem ح Ha is مالك الحيات Malikul Hayat that he is the king of the all حيات hayat (life) because everything is in his ocean. You cannot say, Allah (aj) is in the بحر الحيات ocean of hayat because then you will be inferring that Allah (aj) has a dead استغفرالله astaghfirullah (I ask forgiveness from Allah). Allah (aj) has no حى Hay (life) and no ميت Mayt (dead). There is no life and no dead for Allah (aj). It is like the computer thinking that, “oh at night the operator gets unplugged.” No no, you have no way of understanding what the operator is doing. The computer is merely a computer. We are just Allah’s creation. Allah (aj) wants us to know that we are born and we die. But that doesn’t mean the same for Allah (aj), استغفرالله astaghfirullah (I ask forgiveness from Allah). Allah (aj) is for beyond this understanding. All universes, all paradises, all creation of samawati wal ard (heavens & earth) and beyond, is in the ocean of Muhammadun Rasul Allah. Who is the Praise حمد ? Then they want us to understand that it is the ocean of praise. All testaments talk about that first came the word of God. Who is the word of God? حمد Hamd. That is why he came as the Most حمد Hamd (praised), محمد Muhammad. That he came saying that I am confirming your books. Your books said that ‘first came the word of God and the praise.’ I am the praise; that my name means praise. Wal Hamd. Surat al Hamd (First chapter of Qur’an al Fatiha (the opener)) is the description of that reality. Allah ( ‘Azza wa Jal ) is saying that the grant I gave you of surat al Fatiha is that I give you Sayyidina Muhammad (saws) as your Imam, as your reality. That “you are from that ocean of reality and to that ocean you will return.” It means we manifest and we think we are something. Then in the end, when you lose your body, you return back into this ocean of حمد Hamd (praise). And that ocean of حمد Hamd returns back to Allah ( ‘Azza wa Jal ) because of Tawhid (oneness). 2:156 – Alladheena idha asabathum musibatun, qaloo inna lillahi wa inna ilayhi raji’oon. Allah’s irada, Allah’s will is in the heart of prophet (saws). That is why they describe prophet (saws) as walking holy Quran. Surat يس Yasin is the heart of the holy Qur’an. Surat al Yasin, سيدنا يس Sayyidina Yasin (as) is the name of prophet محمد Muhammad (saws) and he is called حبيب الله Habibullah (beloved of Allah). سيدنا يس Sayyidina Yasin (as) is حبيب الله Habibullah because he is the heart of the divinely presence and the heart of holy Quran. He is theحبيب Habib (beloved) of Allah (aj). 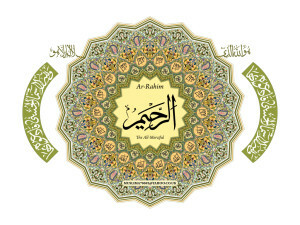 Sayyidina طه TaHa is Rasullullah. These are all the names of prophet (saws). Name of Sayyidina طه TaHa is the messenger for all of creation. The name of سيدنا يس Sayyidina Yasin (as) is the heart for all creation. Because of this holy heart, Allah (aj) is revealing His divinely book through the tongue of prophet (saws). This م Meem is the source of holy Quran emanating. Where did holy Quran come from? It didn’t come from here and there (pointing at outside the circle of creation (م Meem). It came from the heart (pointing at م Meem) of Sayyidina احمد Ahmad (as). From the heart of the prophet (saws) Allah (aj) spoke. There is no direction for Allah (aj) in a circle of creation. You cannot find Allah (aj). Then this creation will be holding Allah (aj). La Sharik (no partner), la shabeh, nothing is like onto Allah (aj). Allah (aj) says you will never find me “I am a hidden treasure”. My ‘izzat, My Alif is the power for Sayyidina احمد Ahmad (as). Within the heart of Sayyidina Ahmad (as) is the zikr of Allah (aj). That zikr of Allah is the source of Qaaf wal Quranil Majeed. It is the qalb (heart) of divinely presence. 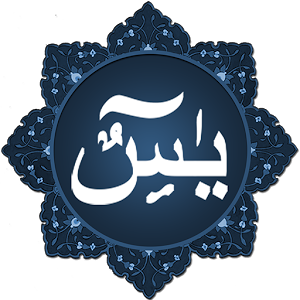 Ba (of the word Qalb) is the Bahrul Qudrat (Ocean of Power). This is an ocean of power. م Meem Ha was مالك الحيات Malikul Hayat. م Meem د Dal (second part of the name of محمد Muhammad (saws) is for مالك الدنيا Malikul Dunya and مالك الدوام Malikul Dawam. That the sultan (king) of all of this dunya (material world) is Sayyidina Muhammad (saws). 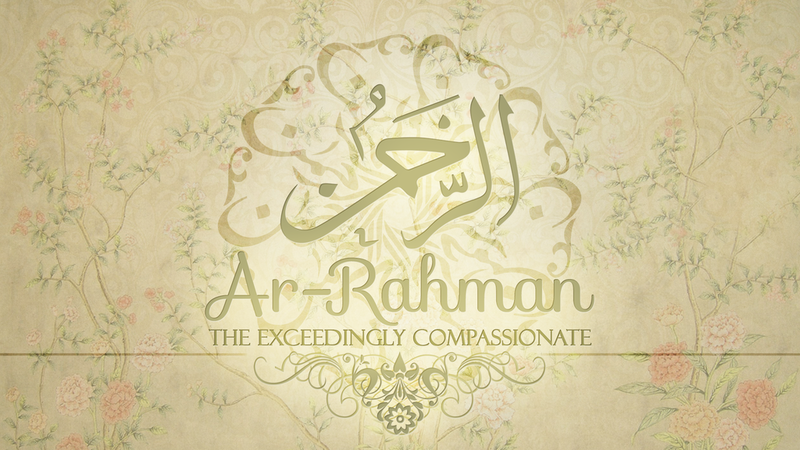 Under stufate Rahman (The Most Compassionate), all creation is manifesting. The created and manifested world is under sifatir Rahman. مالك الدنيا Malikul Dunya means Sayyidina Muhammad (saws) is the king of that creation. Sifatir Raheem (the Most Merciful) is in which all the lateef and settle creation exists. Baitul ma’mur (the Sacred house in Heaven), malaika (angels), everything of paradises and heavens, is under مالك الحيات malikul Hayat. His sultanat (kingship) is complete. He is sultan of everything created in the world of form and sultan of everything in the world of light. Because of that sultanat, Allah (aj) gave the ìzzat, gave the alif. That you sit upon the chair and I sit upon your heart. It means this position of authority, the throne of authority, the throne of guidance is given to you. Allah (aj) says, there is no chair that is going to hold me. Mujasimiyon (? ), they say no, Allah (aj) has a chair, He sits and in تهجد صلاة salatul tahajjud (night prayer), He comes down. استغفرالله Astaghfirullah (I ask forgiveness from Allah)! They give a form to the creator. Allah (aj) says, no no, you are very wrong. The chair represents my authority. You direct yourself to my authority. My authorized one, my only khalif (representative) is Sayyidina Muhammad (saws). All other khalifas (representatives) are below the representation of prophet (saws). There is only one messenger of Allah (aj) and he is Sayyidina Muhammad (saws). There is only one message. All those who were delivering, they were within the رسالة risala and messengership of Sayyidina Muhammad (saws). There can’t be multiple signs going out. Allah (aj) says you have been given everything complete, you are Rasullullah. I give you the guidance. Then the Nur Muhammadi in their souls allow them to guide people and brought them the laws that were necessary for them for their time. Under the light of what? Sayyidina محمد Muhammad (saws). Malaika are from Sayyidina محمد Muhammad (saws). The Throne of the divine is from light of Nur Muhammad (saws). That is why all the na’ats (praises on Muhammad (s)) you sing says it. When the people begin to understand what they are reciting and what they are praising, they will understand that everything is from that light. all prophets seek answers at your door. Why You Must Respect Your Mother? Prophet (saws) says; “under the feet of your mother is the paradise.” What do you think from the reality of Sayyidina Muhammad (saws)? When everything is from that light? You don’t owe a love? You don’t owe him an admiration and respect? Ya rabbi (o my Lord), if not for the birth of this light, if not for the destiny of this light, if not for the creation of this light; we are non-existent. You are ابتر aptar, you are cut off, you are nothing. What type of people are you when you don’t remember that or where you came from? When you don’t respect your mother, Allah (aj) said to respect your mother. What you put now in daraja (level) of your mother and Sayyidina Muhammad (saws)? Allah (aj) says, your soul is coming from here (م Meem – the ocean of existence) and then you choose not to remember his holy birthday? Your soul is coming from Prophet (saws). When you do something wrong and “when they are oppressor to themselves, they have to come to you Ya Rasullulah.” Allah (aj) said. Why? Because you think you did a gunah (sin). What you think you do a sin against Allah (aj)? Can you make a gunah (sin) against Allah (aj)? How? Allah (aj) says I have nothing to do with this creation. You didn’t do anything against Me. But you owe your forgiveness to the one whom you took your light from. You took your light from Sayyidina محمد Muhammad (saws). From the drops of the sweat of his holy light, that all creation is coming to the existence; one drop of that is your soul. It has nothing to do with شرك shirk (polytheism) because all of this is from La ilaha illAllah. Just like it’s not شرك shirk (polytheism) to have a mother. Your mother brought you to this world. You owe her respect. You owe her love and gratitude. Allah (aj) said there is no difference. 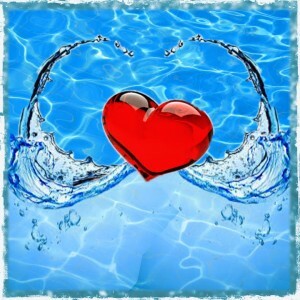 If you understand where your soul came from, you owe him (saws) love, you owe him gratitude and you owe him thankfulness. When you do something wrong, you are doing something wrong against the light that was giving by Allah (aj) to prophet (saws). When we are making istighfar (seeking forgiveness). Ya Rabbi, forgive me. I am asking prophet (saws) that I am an oppressor to myself. I am coming to you ya sayyidi ya Rasullullah (messenger of Allah), forgive me. Then you feel ashamed that the light he gave to us, what do we do against it. What we do bad for it. Why we are not praising upon it? Why we are not cleansing and nourishing it? Then we begin to understand that no, I ask forgiveness from Allah (aj) and ask forgiveness form Sayyidina Muhammad (saws). I am oppressor to myself, Ya Sayyidi (O my master), Ya Rasullulah (O messenger of Allah), represent us to Allah (aj)’s divinely presence, cleanse us and purify us. That if your du’a goes, Allah (aj) will accept that du’a and begin to clean. They teach that is the مالك الحيات malikul Hayat and Malikul Dunya . This is the circle of creation (referring to the encompassiong م meem that has Allah and احمد Ahmad written in it). م Meem Ha م Meem is Muhamma. Muhamma means the spinning ocean of power. It means everything in this ocean of creation is ocean of power. Then when you look at Bismillahir Rahmanir Raheem, these were the fountains of Kawthar. These are the streams of paradise. All these fountains are flowing into the م Meem (the Ocean of existence). All these fountains are described that its pond is the pond of Kawthar. That is what Allah (aj) describes in suratul Kawthar (chapter 108 of holy Quran.) I gave you the fountain of Kawthar. I gave you the fountain of abundance. It means within this ocean, everything is manifesting. As much as Allah (aj) is expanding this creation, as much as Allah (aj) is giving. Allah (aj) expands the creation and gives, expands the creation and gives. That is katheer (abundance). This fountain that I have given to you will never end. Wa law annama fil ardi min shajaratin aqlamun wal bahru yamudduhu min ba’dihi sab’atu abhurin ma nafidat kalimatullahi inna Allaha ‘Azeezun Hakeem. If all the trees were pens and all the known oceans were ink, my word would never finish. That is the ‘izzat (honor) Allah (aj) has given to the reality of حمد Hamd. What we know of the physical is محمد Muhammad (saws). In the divinely presence, they begin to teach this is the heart of the direction, that you direct yourself is known as Sayyidina احمد Ahmad (as). That is why they write that in the huroof (letters). When they write that in the style of huroof (separately each letter is written), they want us to understand. This Allah is in the heart of that reality (pointing at م Meem of حمد Hamd in the circle). That is the source of that power. Mawlana Shaykh Hisham, alhmadullelah gave a tafseer on the realities of لله ل Laam ل Laam هHa (part of the name of Allah). 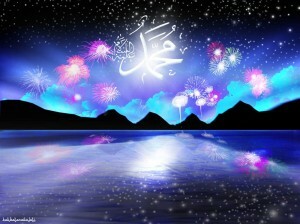 The alif in the name of Allah is always floating. ه Ha – This ha describes the Ha of Hedya. ل Laam represents a Mulk, a manifestation. Mulk wa malakoot (Material world & heavens). ه Ha is the هداية Hedayat (guidance) to take us to that reality. Alif is ‘izzatullah and the alif is always moving. You can’t grab the Alif as Allah (aj) moves the Alif. That My might and My support is with Sayyidina Muhammad (saws). We pray on this holy month of Rabiul Awwal (3rd Lunar month of Islamic Calendar), that they take us deeper into that reality of importance of being the محمديون Muhammadiyon. This is the source of Islam because you cannot be مسلم Muslim without this م meem. It means you don’t know the key to this reality. How can you be مسلم Muslim and have Iman (faith) without the م Meem of Sayyidina محمد Muhammad (saws)? You can’t have faith and be مؤمن Mumin or مخلص Mukhlis and a محسن Muhsin. You can’t be anything without the understanding this م meem. To come to Islam and be a Muslim, you have to accept Sayyidina محمد Muhammad (saws). To have maqamil Iman (Level of faith), and be Mu’min (believer), you have to have the م Meem and you have to love Sayyidina محمد Muhammad (saws) more than you love yourself. Every maqam (spiritual station) is based on the maqam of Sayyidina Muhammad (saws). You can’t have Islam, Mawlana Shaykh is teaching, without accepting Sayyidina محمد Muhammad (saws). It means you accept it, you got the م meem, and they give you the turban. You say alHamdullelah. You are now a Muslim. You got the م meem, you got the turban, and you walk around and say I am محمديون Muhammadiyon. Maqamil Iman – Where is maqamil Iman? Maqamil Iman is the heart of this reality. What did prophet (saws) told the companion that you can’t have faith until you love me more than you love yourself. Why? Because if you love yourself, you will always choose yourself. To love Sayyidina Muhammad (saws) more than we love ourselves. Why? Because now you are in the center (inside the م meem – the ocean of creation). Even being a محسن Muhsin, you have to love prophet (saws) more. مخلص Mukhlis, their whole life is how to serve Sayyidina محمد Muhammad (saws). Don’t worry about being Abdullah (servant of Allah). That is a high title. That is the title that Allah (aj) is giving to this reality (of prophet (saws). This is My Abd Allah. Abd Allah! You are not Abdullah. That’s why Mawlana Shaykh Hisham says, there is only one AbdAllah. It is humiliating to think that you are Abd Allah. You can’t attach your name with Allah’s name. But Allah (aj) says that prophet (saws) can. He is Rasul Allah. He is حبيب الله Habib Allah. He is Abd Allah. You are Ubaidullah. Serve the one who serves Allah. That is how we become mukhlis. Mukhlis is to serve prophet (saws) with our life, with our dead, with our being, with our wealth, with everything to make prophet (saws) happy with us. If prophet (saws) is happy with us, no doubt Allah (aj) is happy with us inshallah. Subhana rabbika rabil ‘izzati ‘ama yasifoon. Wa salamun alal mursaaleen, wal Hamdu lillahi rabbil ‘alameen.